All of the usage reports available to school administrators can now be easily exported to CSV files. 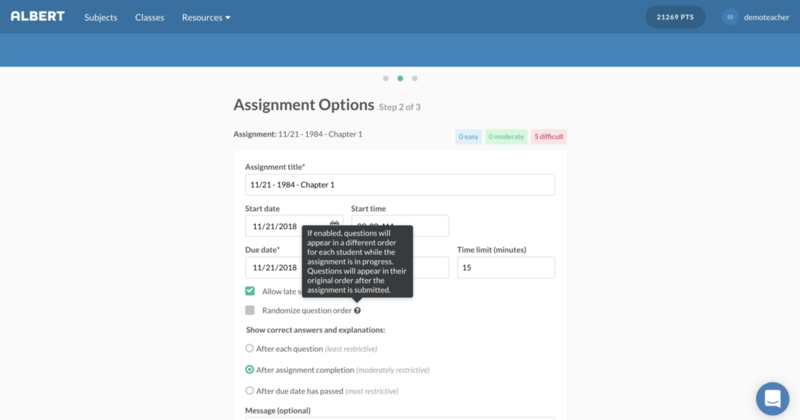 Teachers can now add free response questions to their assignment templates. Students can still not submit responses in Albert. They should record their responses elsewhere and submit them to their teacher. 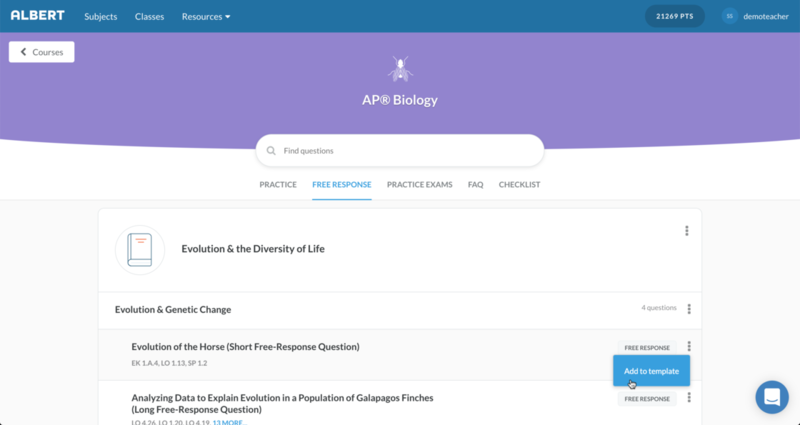 Now teachers can set the order of an assignment's questions to appear differently for each student. This can help prevent cheating and improve the quality of your Albert data. You can now easily track how each of your students is performing on a given standard and which questions in particular they're struggling with. We redesigned our subject guide pages to be less cluttered and more actionable. 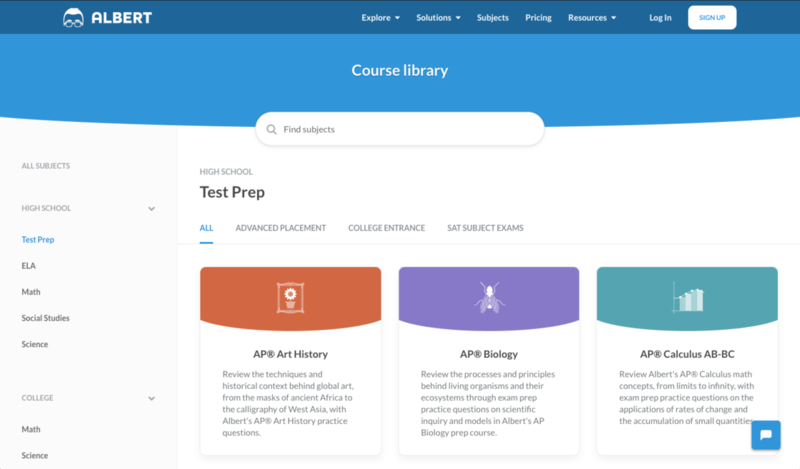 We redesigned and reorganized our course library so that you can more easily find courses relevant to what you're trying to learn or teach. 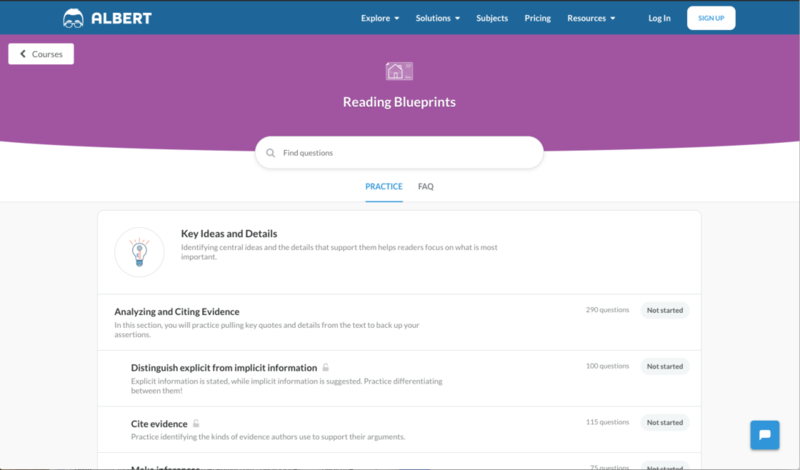 We've redesigned Insights and added additional reports to help you understand student performance based on learning standards. We also added a new question drilldown that lets you see how each student performed on a given question. The new redesign includes a table searching function to help you easily find the data you're looking for. School and district admins can now easily invite their teachers and accept account invitations in a single place. Admins can upload and mass-email all their teachers with a single action, and can easily assess which teachers have been approved, and which have yet to respond to their invitation. 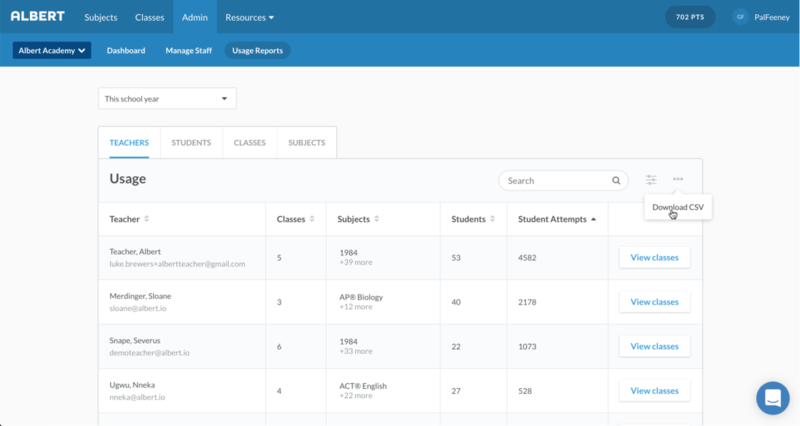 School and district admins can now analyze their school or district’s usage on Albert, directly within the website. Admins can sort this data with just a few clicks, and group their data by teacher, student, class, or subject. Simply click the tab titled "Usage Reports" to get started. Licensed teachers can now assign full length practice exams. These exams feature over 1500 brand new questions and 130 FRQs and mimic the real APs. Surely Albert will start publishing changelogs very soon.